Are you ready to take Inspired Action by completing a cycle, integrating what you’ve learnt and then creating space to commit to manifesting your heart’s desires? Affirmation: I am complete, I am resolved, I am done. 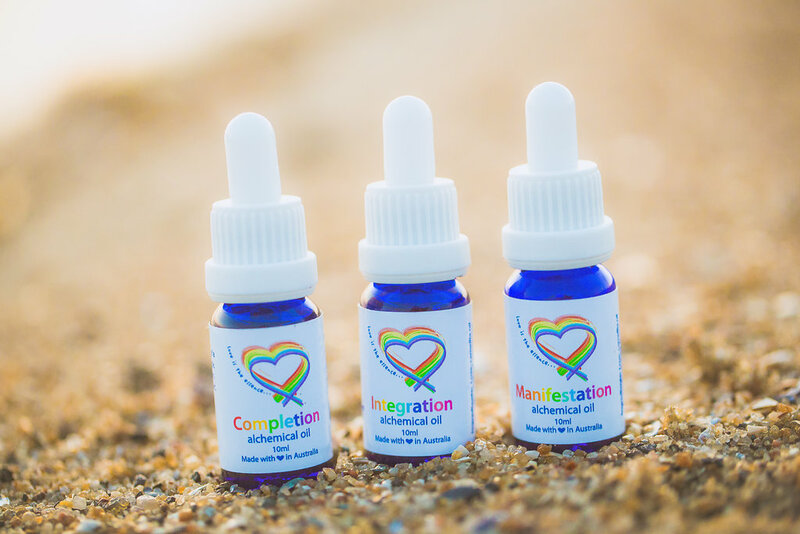 Completion Alchemical oil is about acknowledging and honouring the end of a long chapter, cycle or initiation period in your life. Key to its message is celebrating how ‘far’ you’ve come – rather than how far you feel you have to go. It is a reminder that you can choose in this moment to be complete, resolved and finished with a situation, a relationship, a behavioural pattern or a reactive response. You don’t have to let situations and relationships drag on for weeks, months or years. Again this is a choice. Celebrate your life’s journey now. There is nothing to ‘wait’ for. When you are resolved and complete within yourself with regards to certain relationships or situations, miracles can occur. 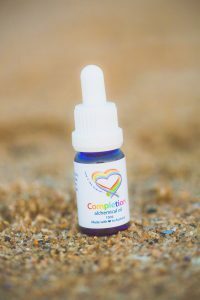 Ingredients: Love, camellia oil (Carmellia ofeifera), black pepper (Piper nigrum), cardamom (Elettaria cardamomum), angelica root (Angelica archangelica), lemon (Citrus limonum), gems and flower essences, colour rays, sacred symbols, mantras and sound. Apply a drop to your crown, your heart, on each shoulder blade and then a drop to the arch of each foot. See a rainbow column of light coming down from the universe and surrounding you and entering into each and every atom of your Being. 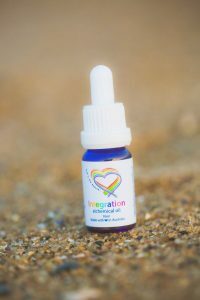 Then exhale this rainbow light out through your feet and down into the heart of Mother Earth, with the intention of completely letting go of a situation, a relationship, a behavioural pattern or a perception etc. Read more about the experience I had creating this up at Rainbow Beach in Queensland here. Affirmation: I integrate what I’ve learnt. 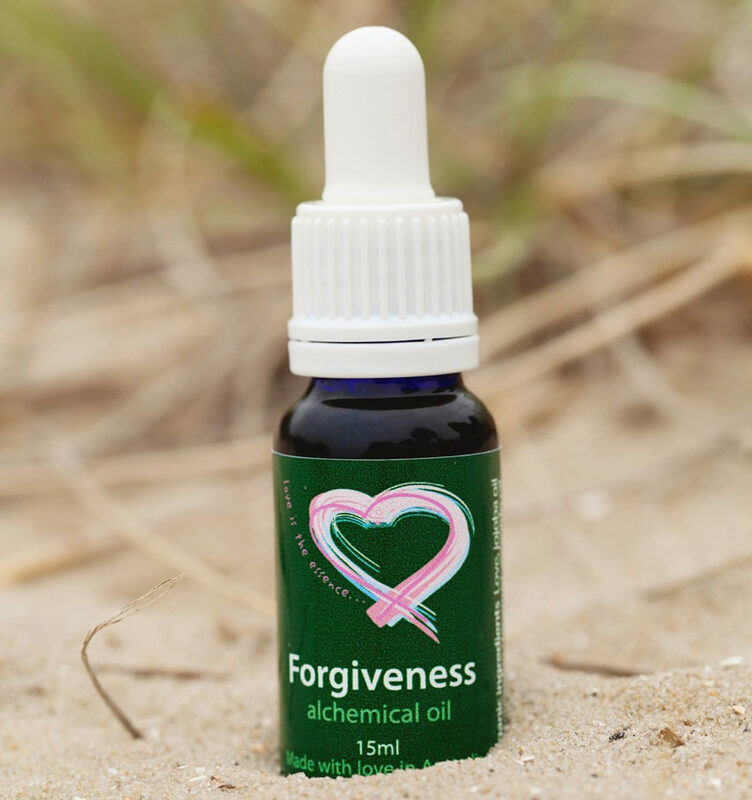 A very refreshing aromatic combination with spearmint and wintergreen oils, that cuts through much mental chatter and justification and urges us to take action. Understanding something on an intellectual level and having ideas is one thing. Anyone can have an idea, but – ideas are pointless if we never act on them. Making positive and proactive change in your life is another matter entirely. There is only NOW. There is no better time, there is no other time…. 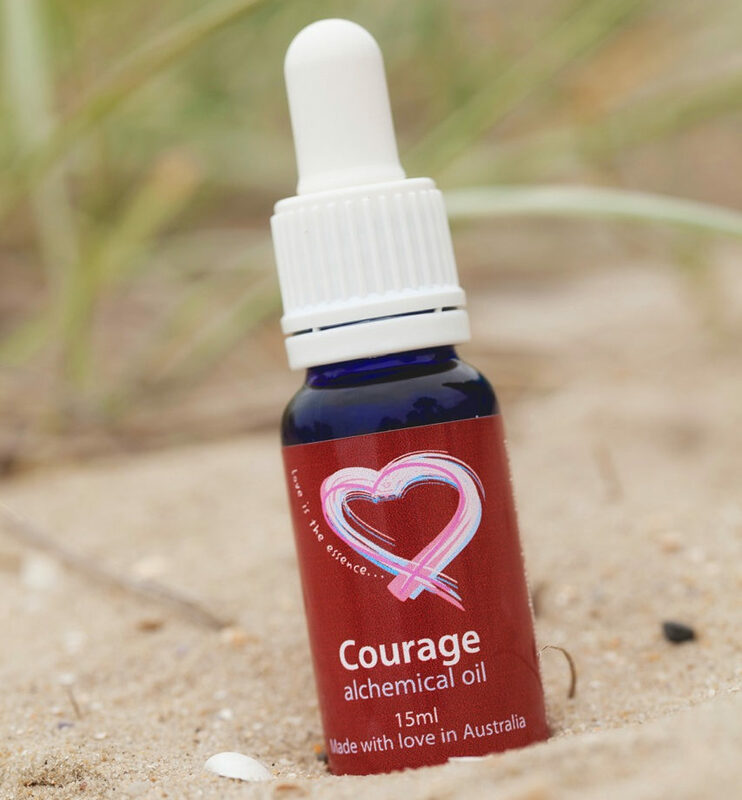 Ingredients: Love, camellia oil (Carmellia ofeifera), spearmint (Mentha spicata), wintergreen (Gaultheria procumbens), gems and flower essences, colour rays, sacred symbols, mantras and sound. Apply a drop to your crown, brow and your heart. Then exhale through your feet and down into the heart of Mother Earth, with the intention of letting go of all mental chatter and integrating your knowledge from lessons learned. Take a step forward now. 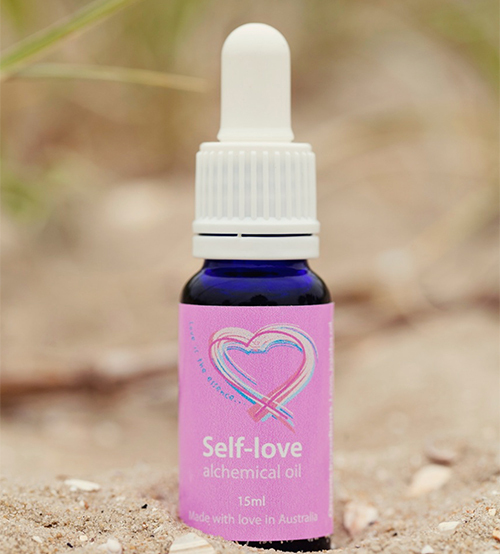 Ideal to use after having a shower and also a few drops in the bath for an intentional bathing experience and a sense of ‘rebirth’. Affirmation: I manifest my heart’s desires. 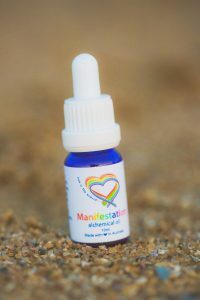 Manifestation oil is the tool to assist you in bringing into your awareness where fears may be preventing this goal from coming into your physical reality. As these aspects become conscious, you can then take steps to address what is occurring and choose love. Allow yourself to expand to create space for what your heart is yearning to bring forth. All possibilities exist in a void of creation. They are waiting for you to call them forth, claim them and then to commit with faith and unwavering focus. So what are your heart’s desires? Ask yourself. Take some time to sit with this question with a journal and pen and allow yourself to just write a stream of consciousness. No judgement. Allow it to flow. You may be surprised to find, it’s not what you ‘think’ it is… Your heart wants what it wants; there is no logic involved. Apply 3 x daily for 3 weeks to focus on a specific heart’s desire. 1 drop to your crown, 1 drop to your heart and 1 drop to the middle of your lower back. As you apply, close your eyes and open your heart. Visualise in your heart a golden six pointed star of your creation that contains your heart’s desire and then see it moving down through your body and out through the soles of your feet, down to anchor into the heart of Mother Earth. The 6 pointed star of your creation is the joining of your higher and lower self. When we come into this earthly plane, these two triangles are separated. The journey of our soul brings these two increasingly closer together as we evolve and raise our levels of consciousness. There are many different religious interpretations of the 6 pointed star, like the Star of David. I’m referring to it from a symbolic and spiritual perspective. White Eagle speaks of the 6 pointed star as the Christ Light, but again not from a religious perspective but more about the manifestation of the divine within us all. 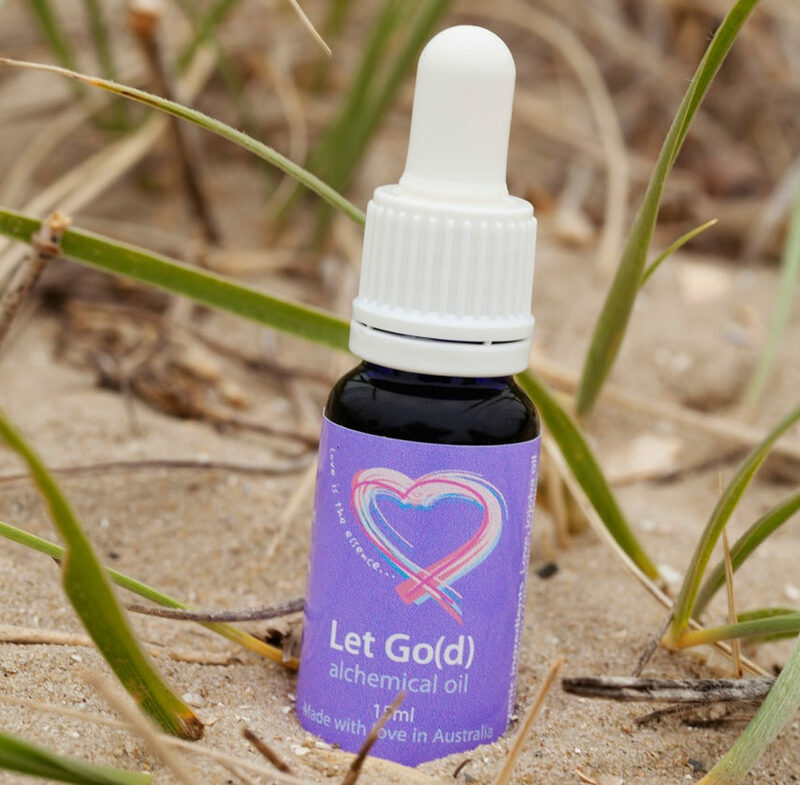 Due to the strong symbolism of the number 3 with this oil, I have the sense it is helpful to apply and focus at 3 hour intervals – when you are choosing your three times to apply. This is only a suggestion, as obviously that may not be possible every day for you. It’s more important that you follow your intuition. For example: If your intention is that you would like to manifest a divine love relationship with a beautiful partner, then you may start to become aware of how your thoughts, feelings and behaviour may not necessarily be conducive to this occurring. If you have been stating this intention for a long time and are not seeing the desired results, then what needs to change in your thinking, feeling state and actions? If this is not in your reality, then you’re not aligned or resonating clearly with this intention. Ask yourself “If I was totally aligned on all levels with this heart’s desire, what would I be thinking, how would be I feeling and what action would I be taking to bring this into my reality?”. Created 12:12 on 12/12/12 at Echo Point near The 3 Sisters, Blue Mountains, NSW, Australia.